There is no doubt about it! Online reviews directly shape your image, and are a must have for any business to thrive in today's industry. In fact, studies have shown that 92% of consumers take to the web to browse the review section before contacting a business, and what's more, 84% of consumers trust these stranger's online reviews as much as a personal recommendation from a close family member or friend. Now, given some of the reviews we've come across online, that statistic can quickly become a source of anxiety for any business owner. After all, you can't control the reviews, can you? Well, apart from always striving for excellence and caring about your staff and consumer interactions, you are right. You can not control the reviews that someone might leave. However, you can control your response and actions, which as it turns out, might be more important in managing reviews than we previously thought. Let's explore that a little. 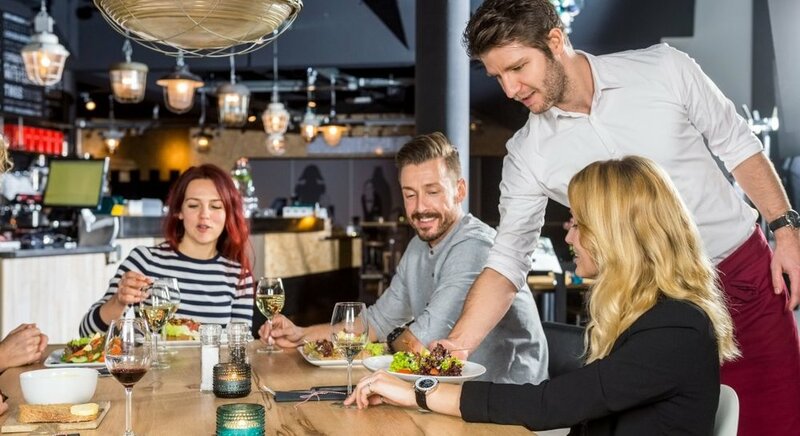 Have you ever gone out to a restaurant with friends or family, only to be disappointed by the service and food? You waited a while to be seated, even though you had a reservation. Then, your server forgot to bring you your water. To top it off, your friend's steak was medium instead of medium rare (why do they always get that wrong, anyway?). You gossip among the table about your disappointment, and moments later, your server comes over with the famous “How are your first few bites tasting?” question. Your friends and you smile and say, “Great, thanks!”, and your server walks off. Later on in the evening, you and your group find yourself waiting forever for your dessert. When it finally comes, the manager walks over and asks if you enjoyed your experience. You contemplate complaining, but decide against it, and instead, tell him you had a great time. Why didn't you complain? In all likelihood, you didn't want the confrontation that most of us go out of our way to avoid. The same thing can be seen in online reviews. Now, in the above restaurant scenario, it would have been reasonable to say something politely, but what if the only negative was the wait time? Unfortunately, there are some people who are triggered by an event or action that others may view as insignificant, and depending on how their day went, they may feel the need to take some steam out on you, your staff, and your establishment. We've all seen this happen! Studies have shown that the more face to face management interactions, the fewer complaints, but online consumers feel more open to say what they want, how they want without the same confrontation. However, if reviewers see consistent feedback on you reviews, they are less likely to complain about the small things, so that they, too, can avoid what may become a confrontational conversation. While being proactive with your reviews helps decrease the amount of bad reviews you might receive, we want to maintain a high level of positive reviews without resorting to questionable tactics such as discounts for 5 star reviews, so we strongly encourage listening the complaints you do receive, responding with care and empathy, and making the changes necessary to help your business grow. Negative reviews are actually a great way to learn, and show off your customer service skills. Think about the last time you searched through reviews, good and bad. Did anyone respond? How did they respond, and how did it make you feel? Imagine you are looking to get in to TLC at a local spa, and you are looking through the reviews. You see one positive and one negative review as follows. Now, at this moment, you are probably left thinking of the negative review, but imagine you see the business response. “ We are over the moon that you enjoyed your experience with us! That is one of our favourite treatments too! We look forward to pampering you again soon; you deserve it!" So, are you left thinking about the negative review, or how kindly the spa responded? In the end, you can't control the reviews that are left by consumers, but your actions on and offline can go a long way to reducing and even reinventing bad reviews. 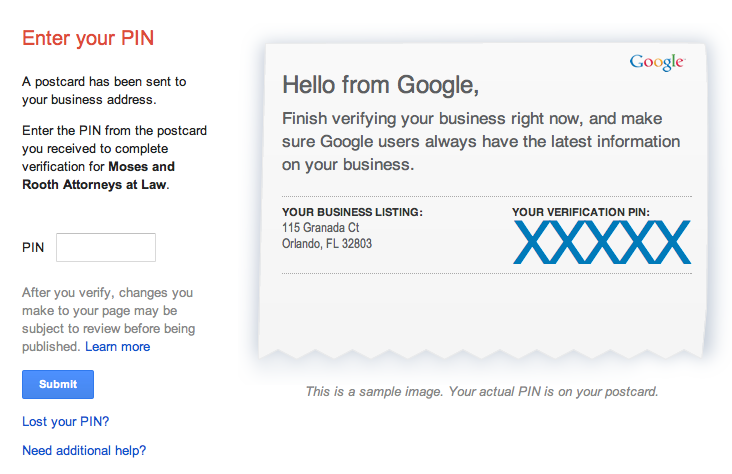 Looking for some help reinventing your google review section? Contact our Online Reputation Specialist to help increase your online reputation and build your consumer base! What Does Google Really Think Of Your Reviews? We already know Google Reviews play an important role for both you and your business, but let's review the facts! Keeping your reviews current is crucial for keeping your product and services relevant to potential consumers. 92% of consumers look online for google reviews BEFORE visiting a local shop. 84% of people trust google reviews just as much as personal recommendation from a close friend or relative. So, there you have it. Google Reviews are clearly a lifeline for you, and should definitely be a top priority, but what does Google itself think of your reviews, and just how much impact does it really have in relation to your reputation with Google search engines? When was the last time you googled your business to see where it comes up? If you haven't recently, we strongly suggest you do! Pro Tip: Do this from a device you never use because the Google puts Einstein to shame, and knows you want to see your own business. We want to see what everyday people see! Did your business show up on the top of the list? How about the first page? If it didn't, you're probably feeling a little down at the moment. Getting to the top isn't always easy, but go ahead and let the moment pass, because we are about to give you some information to help rise you to the top! GOOGLE NEEDS GOOGLE REVIEWS JUST AS MUCH AS YOU! Google wants to be the best search engine the world has to offer, and they aren't about to let Bing get in the way...you remember them, right? In order to stay on top, Google needs to be constantly providing consumers with the best location that match their search description. After all, you would never trust Google again if they sent you to the worst Chinese Restaurant in town that time your in-laws came to town and you scrambled to find the best local take out! Like your consumers, Google trusts the people of the internet to let them know who should rank supreme. This method isn't always full proof, and you will always have some unjust negative reviews out their bumping your score down. That is why a steady stream of great Google Reviews are the most valuable tool for your business! While Google Reviews are probably the best way to climb your way up the web latter, there are a few other tools you can use so that Google will notice you. Remember to use your keywords! Google makes it even easier to find out what your customers are looking for by tracking how often your business is being found via related search phrases or direct business lookup! Want to learn more about handling a negative google review and turning it into a positive? Click here to read more! Contact Review Me Now today to speak to a professional Online Reputation Specialist! You probably already know Google reviews get your business seen, and without them, your business can easily become invisible to thousands of potential clients daily. However, what you may not realize is just how important google reviews are for client accessibility too! Google reviews can act like a gateway, guiding customers straight to your door in a way that other paid advertisements simply do not. In fact, did you know that 80% of people will click, call or visit a business AFTER reading a positive google reviews? It's true! People today are busier than ever, and with their chaotic lives, what your customers crave most are EASY SOLUTIONS! Your business' customers don't have the time or the patience to be scrolling through multiple web pages to find the information they are looking for. Luckily, Google works for you and them, making it easy for them to find, explore, and connect with you, all in one place- Google Reviews. Let's say, you are looking to renovate your home, and it is time to upgrade those floors! 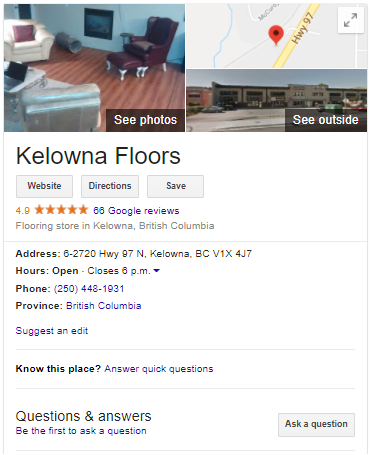 You google "local flooring specialist", and google gives you a convenient list. Google gives you pages of listings, actually... Do you scroll through pages 2-5? Probably not! In fact, you probably won't scroll past the first 5 listings, let alone 5 pages. Your eyes instinctively scan the page for the highest rated businesses, and you begin to check them out. The first one looks great, but you have to click their website, scroll down to contact, copy and paste the number, and then call them. Not that hard, but it's definitely more work than you want to do at the moment. The next one is just as good, and someone left an excellent 5 star google review yesterday! Perfect, you can see that they are located about 20 minutes away, and their number is linked right there for easy accessibility. You click the blue highlighted number, and your phone instantly connects you their friendly staff. You now have your floors scheduled, and they just landed themselves another client! Too bad the other, equally as good business missed out! Make sure you and your business is seen and accessible! How do you get seen and connected? Keep your google reviews high and consistent (google will automatically move and keep you towards the top of the list). Respond positively to all Google Reviews- good and bad! Keep active on your Facebook and websites by updating pictures, posting blogs, and adding new content. Google also makes it easy for business owners like you to track your success throughout the month by using your Google Business Page Insights! Here you can review how many customers called, requested directions, viewed your website, or tried to connect with you via chat. What call of action do you think is most beneficial for your business clients?